Kerala has witnessed a disaster of an unprecedented nature in a century. The timely action and response in the aftermath of the floods has helped to arrest the death toll. The state government machinery geared up their coordination activities to provide rescue and relief in time with the support of the central government and an active civil society. Visual media and social media played major roles in mitigating the crisis by launching intimation gathering and dissemination to the public as well as the authorities concerned. Thousands of Information Technology (IT) volunteers from across the world connected via the internet to strengthen and accentuate the process. Monetary and in-kind support from different shores reached Kerala in no time, thanks to volunteer collectives. Nature’s fury was alleviated by the dynamic participation of a civil society rising to the occasion to exercise its social responsibilities to meet the daunting challenges unleashed by the incessant rains. This coming together of people from every strata of society had all the attributes of a libertarian society, notwithstanding the popular ingrained political philosophy of Kerala. They waited for neither government’s call for rescue and relief nor state funds. Instead, individuals went out of their way to rescue stranded people, arrange logistics and transport, provide basic supplies and raise funds – all of their own free will. It is highly commendable that the youth in Kerala rallied to overcome the challenges of an unanticipated natural calamity. They utilised social media platforms like Facebook and Twitter, messaging apps like WhatsApp and navigation tools like Google Maps to their advantage. The response was spontaneous yet effective. It would be worth studying how many voluntary messaging groups were created for real-time communication on rescue and relief activities. This illustrates to what extent these products of capitalist economies have penetrated the Kerala society, which utilised them for efficient, effective and timely intervention during the crisis. There were also attempts to flag fake news and shun politicised dialogues. The feedbacks on these platforms reiterate the point that the youth are highly aware and engaged in delivering individual and social responsibilities contrary to the popular dictum in Kerala that they are indifferent and irresponsible. Their commitment to the cause is a revelation to many, especially those contemporary writers and commentators, who would be forced to deconstruct their argument that one should look into the past to define the values lost in a society with the barrage of consumerist and capitalist forces. A liberal approach is required to understand the transcending values that are relevant to a globalised world. The society has garnered interconnected and interdependent values with the free flow of goods, capital, people and ideas, which unfortunately was not acknowledged by many in the past. 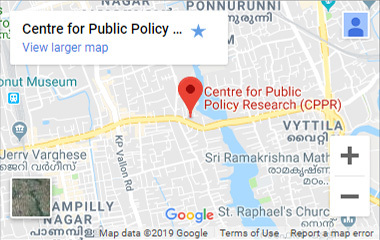 Liberal democratic values were more or less widely appreciated by everyone, whenever Kerala put up a strong opposition to right-wing nationalism, except government parleys, as they were mostly driven by the paternal-state framework of governments in Kerala. Philosophically, commitment to the ideals of equality, liberty, individuality and rationality is rooted in Kerala, owing to twentieth-century social movements. However, these attributes have been at the mercy of government-sponsored welfare, which in turn rankled citizens’aspirations and dogma. It has led to the migration of young and dynamic individuals to other parts of the world, in effect reducing the scope of building a modern state of the twenty-first century. The Kerala model of development has resulted in a remittance economy to bank upon for its survival in the last few decades. The floods have reiterated this reality in more than one way. The offer of support for relief and rehabilitation came from across the world. The global Kerala diaspora has been in the forefront of extending support to its home state. The government held discussions and took decisions at a rapid pace to leverage this support by amending the rules of the existing provision for smooth transactions across borders. Kerala in an unprecedented manner has also urged for global support in various ways – money (capital), ideas, goods and experts (people). This is a paradigm shift or a revelation for a state, which, hitherto, in its political overtures opposed globalisation and privatisation. The state is reaping the benefits of its citizens being part of a globalised world and communion. Now that the focus is on relief and rehabilitation, the Chief Minister (CM) of Kerala Mr Pinarayi Vijayan has reiterated the significance of local self-governments in rebuilding the state. At the same time, news reports suggest that district collectors have been the chief decision makers, when the floods hit the state hard. This could be a great opportunity for the state government to empower and build the capacity of the local governments by entrusting them with more financial autonomy and decision-making powers. Different relief and rehabilitation packages custom-made for different categories of affected parties are vital in the post-flood period. Local bodies should be empowered to facilitate these packages. Even though Kerala lays claim to a robust framework of decentralised governance, it should be armed to the teeth to execute plans suiting various local conditions. Being a consumer state, Kerala is one of the primary markets in India for many multinational companies. No wonder, many of them showed their generosity and support by donating to the Chief Minister’s Distress Relief Fund. This reiterates the fact that markets can behave responsibly and are sensitive to the sentiments of the consumers. This is also a sign of maturity on the part of the market players. Besides, the revival of the markets will be key to normalise the trade-off in the Kerala marketplace, especially in the context of the present crisis. The Kerala economy is interlinked and the services sector accounts for 70 per cent of its GSDP. Market revival will create employment opportunities and sustain economic growth, despite odds being not in favour of reality. A truly libertarian society will seek limited role and participation of the government. If the citizens are already shaped into that mould, the challenge for the government will be to cut down its own myriad roles. The state of affairs demands a revisit to the conventional wisdom that Kerala has practised, mostly usurping the role of a paternal state. The philanthropic nature of Kerala is societal in nature and acknowledged over the years (for instance, support to organ transplants). The civil society has played a major role in establishing institutions and infrastructure in the health and education sectors for the last two centuries and the same wisdom is practised in building the Kochi international airport. Understanding these values, Kerala should not lose out in the process by introducing unwarranted government controls that will stifle private choices and avenues in rehabilitation. The CM’s clarion call of ‘New Kerala’ should revisit the government’s role and its style of governance. It is an opportunity for course correction – the long-demanded rescue and rehabilitation of the Kerala economy. Checks and balances, transparency in decision-making and public accountability for performance reduce the oddity in approaches and reckless or self-interested decisions by those in power. This is what classical liberal (constitutional liberalism) ideologues would argue for. From what we have experienced in recent times, it is true in the case of Kerala.